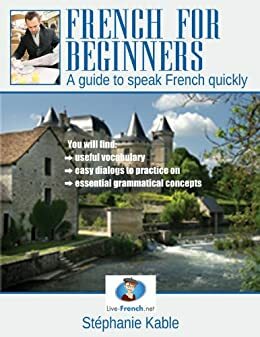 Since 2006, Live-French.net has trained hundreds of people around the world and has helped them to learn French from the convenience of their home, in a fun and efficient way! The advantages of Live-French.net are numerous. - First of all, our native-French teachers have tremendous experience in teaching French as a second language. - We also provide different French courses to adapt to your specific needs. - Learning French online is fun and efficient, you don't waste time in transport to go to your language school and the whole lesson is dedicated to your needs (this is a private lesson!). Your French school wherever you are, whenever you want! Our opening hours are 7am-10pm French time (Sun-Fri). You can organize your schedule whenever it's convenient for you, we call you on Skype or on your landline. Our students come from many different places around the world like the UK, Germany, Italy, Spain, Japan, etc. Thanks to the technology, it doesn't matter where you live. When you register for lessons, you get access to our Member Area where you can check your account, choose your teacher and book your lessons online when it's convenient for you. So join us now and start learning French at your own pace.